Cor, what a weekend! 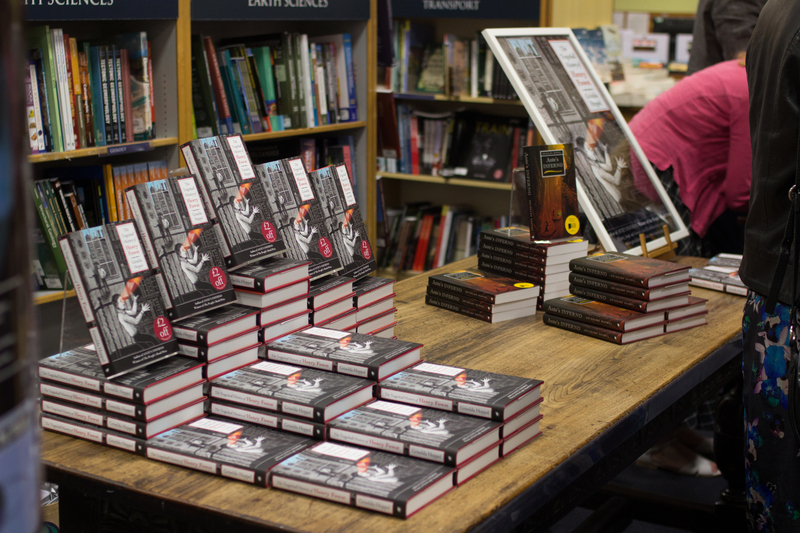 Blackwell’s Bookshop hosted a FABULOUS launch fest on Friday for The Tragickall History of Henry Fowst. Much Feasting and Fun and a Foison (oh dear, I’m running out of Fs) of books sold. 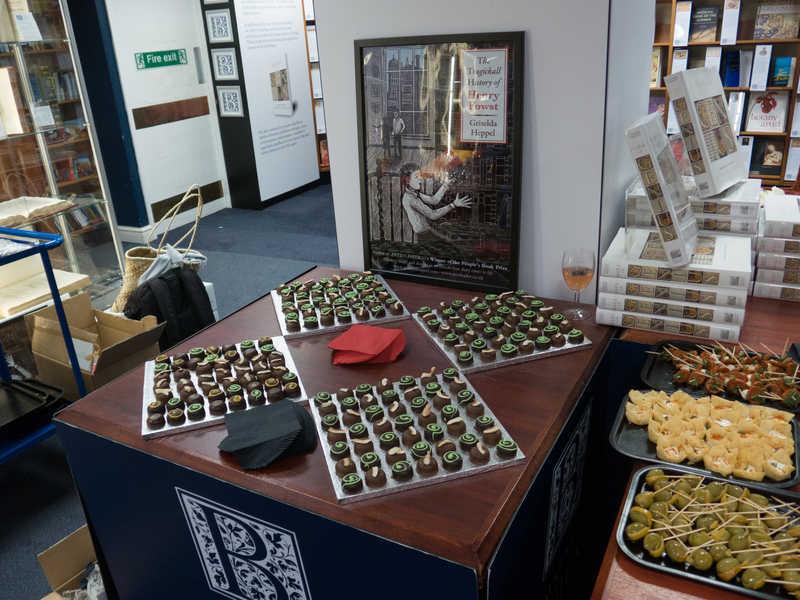 It was a huge pleasure to see so many friends and particularly children enjoying Hetty Gullifer’s devilish canapés (Gullifer Eats) and listening in awed hushsomeness to extracts from the book given by two very polished young readers. No Faustian pacts were made (at least I hope not), though I couldn’t help noticing that some of the guests had adopted Mephistopheles’s signature colours of scarlet and bla ck in their dress. Phew. A well-earned rest beckons. What do you mean, it’s only Tuesday?